Ireland’s West Coast Explorer – The Great Canadian Travel Co.
Only have a few days, but want to explore as much of Ireland as you can? This short tour will introduce you to the history and beauty of Ireland. Visit the hidden gems and tourist attractions while hearing stories from your local guide. Prices are shown in US$ per person based on two people sharing a twin room and one person in a single room. Child price applies to children ages 5-15 sharing a room with an adult, or two children sharing a room. Children under 5 are not accepted on this tour. 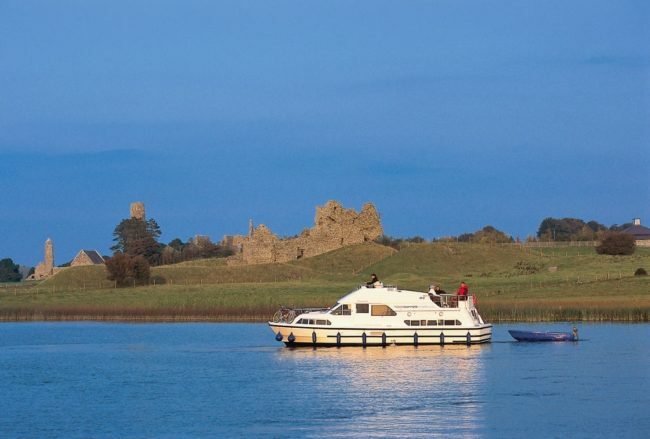 Your first stop, after travelling through some traditional Irish counties, is Kinvara. Here, you will hear the history that surrounds the Dunguaire Castle and the legacy it leaves behind. 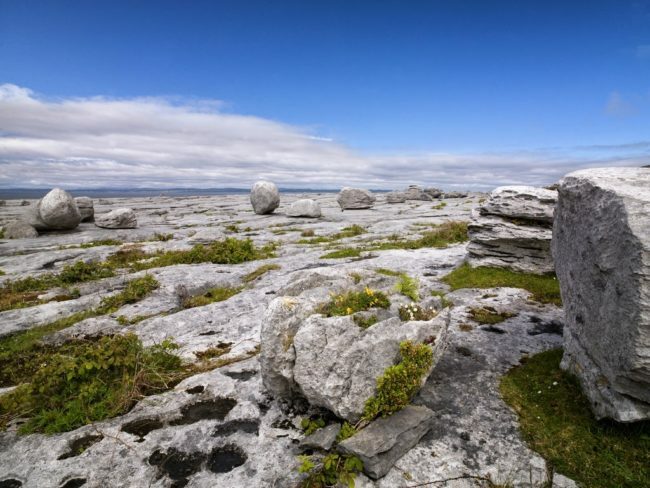 From there, you will head to the Burren and gaze upon beautiful limestone pavements, rare flora and ancient stone monuments. This area was also home to one of the earliest Christian settlements in Ireland. 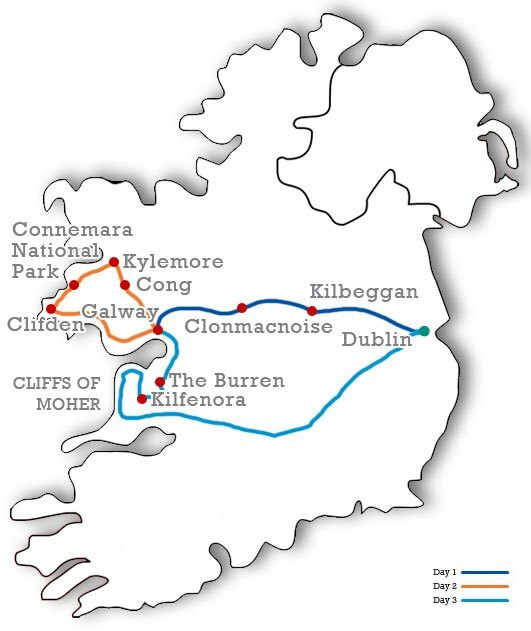 Journeying on now, to the Cliffs of Moher with its 700 ft. drop to the crashing waves below. Watch the sea birds soar effortlessly along the thermals above you, then dive straight down to catch their lunch. If you wish, there is also an award winning environmental exhibition situated nearby you can wander through. Galway City is the next, and final stop for day one of your tour. You will be staying here for the two nights of this tour, with time to explore and see the sites and taste the food. 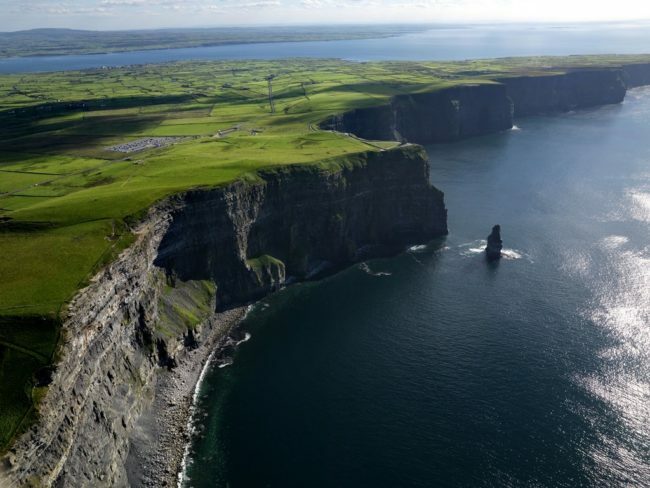 The Cliffs of Moher – An awe-inspiring 700 ft. drop into the crashing waves of the Atlantic Ocean. 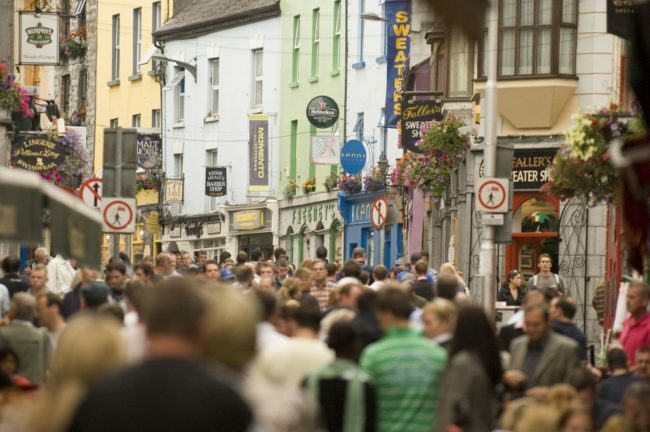 Galway City – Stone clad buildings line the winding lanes and medieval walls of this ancient harbour city, all accompanied by the strains of traditional music pouring from cosy pubs. Connemara National Park – Stunning vistas and superb wildlife abound within this famously serene park from the towering peaks of the Twelve Bens to the panoramic Sky Road. Locke’s Distillery – The oldest licensed distillery on Earth has something for the history buff and the beverage connoisseur alike. This morning, you will travel inland through the Maam Valley to Cong, a village made famous for its participation in the movie ‘The Quiet Man’. You will have free time to wander through the local museum devoted to the film, or explore the restored 12th century Cong Abbey. 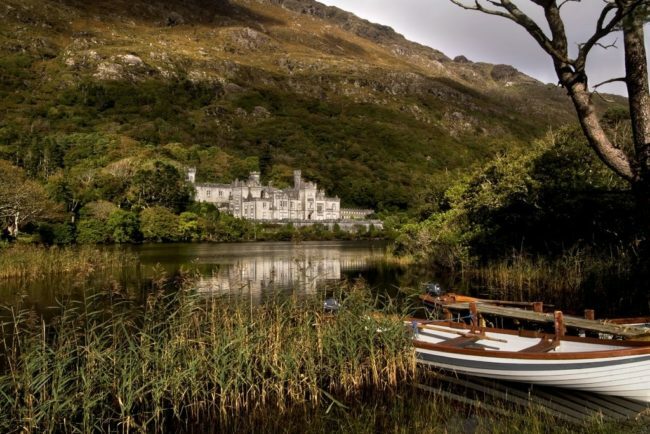 Continuing on, you will visit the magnificent house and grounds at Kylemore Abbey. Be sure to stop and smell the flowers in the beautiful gardens. Travelling on to the next destination, you will arrive in Clifden, the site of the first landing of a transatlantic flight. Nearby, in the national park, you will travel along the Sky Road and gaze up at the majestic Twelve Bens of Connemara. Day two has come to a close and you will make your way back to your warm accommodation in Galway City. On your last day, you will leave Galway and take the back roads through central Ireland. The first stop is Clonmacnoise, the site of an early Christian settlement with churches, round towers and stone crosses. After working up an appetite, you will stop for lunch in a nearby village and then continue on your tour to see the unique biodiversity that Ireland has to offer. Your final stop is the oldest licensed distillery on Earth! 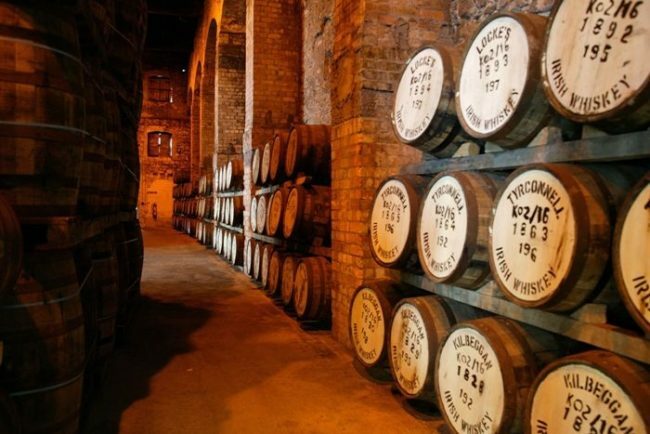 Relax with a drink, or two of some famous Whiskey at Locke’s Distillery before heading back towards Dublin.